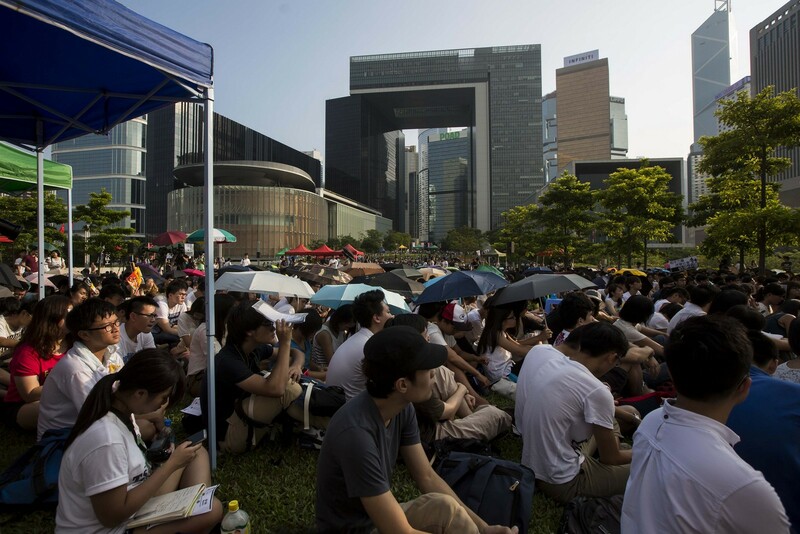 HONG KONG - Hong Kong police said Thursday they had arrested a dozen pro-democracy protesters after a night of clashes in the first sizeable rally since the last protest camp was cleared last week. 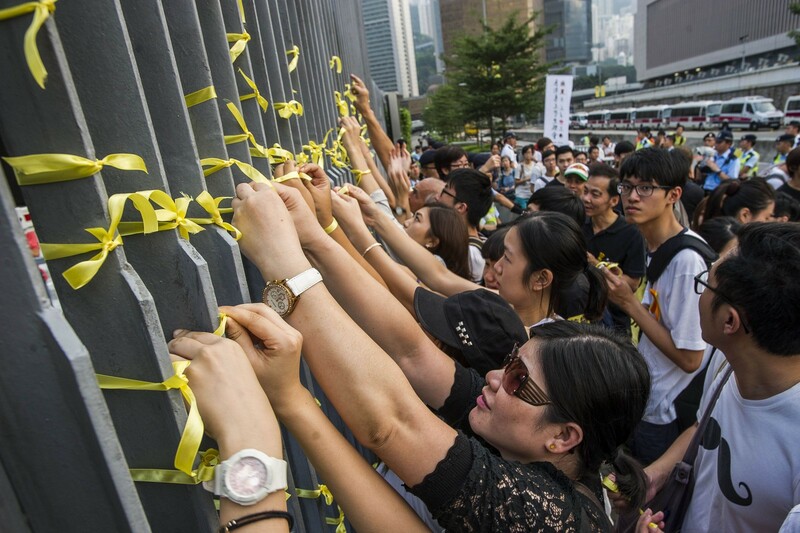 Police used pepper spray and batons to disperse hundreds of protesters who crowded the pavements Christmas Eve and at times rushed into traffic on major roads in Mongkok district. 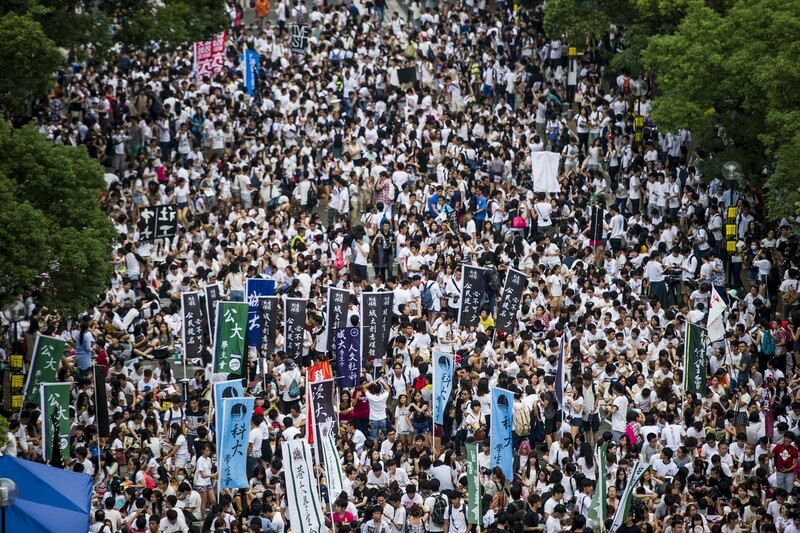 "They caused chaos and blocked roads," police said in a statement. 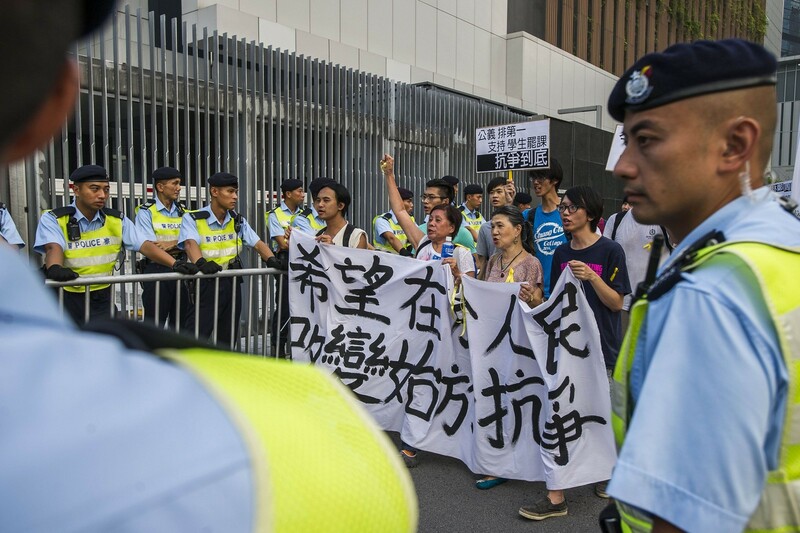 "Police arrested 10 men and two women, aged between 13 and 43," the statement said, adding they were detained for assaulting police officers, obstructing a police officer and disorderly conduct, among other charges. 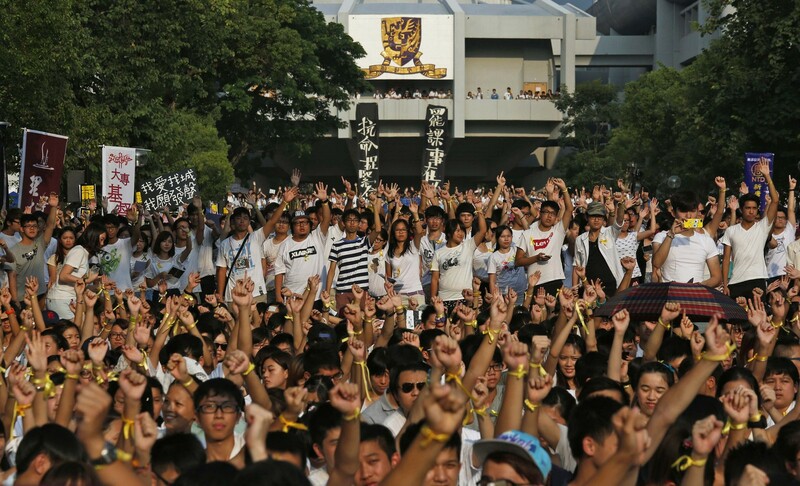 News footage showed protesters, one of whom had a bloodied head, being pressed to the ground by several officers. 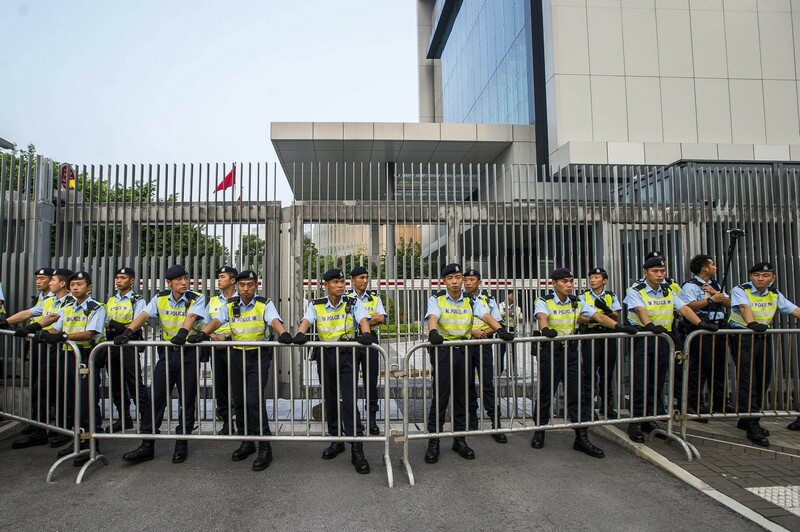 Police said two officers were injured in the operation which lasted into the small hours of Christmas Day. 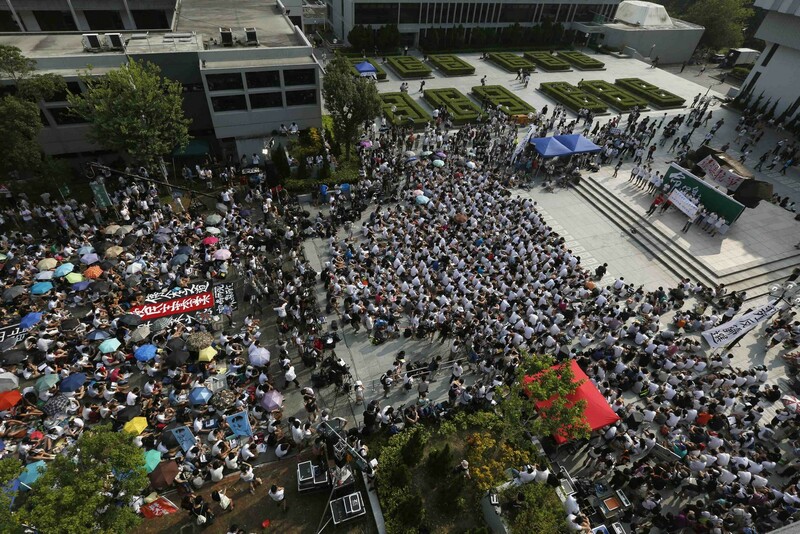 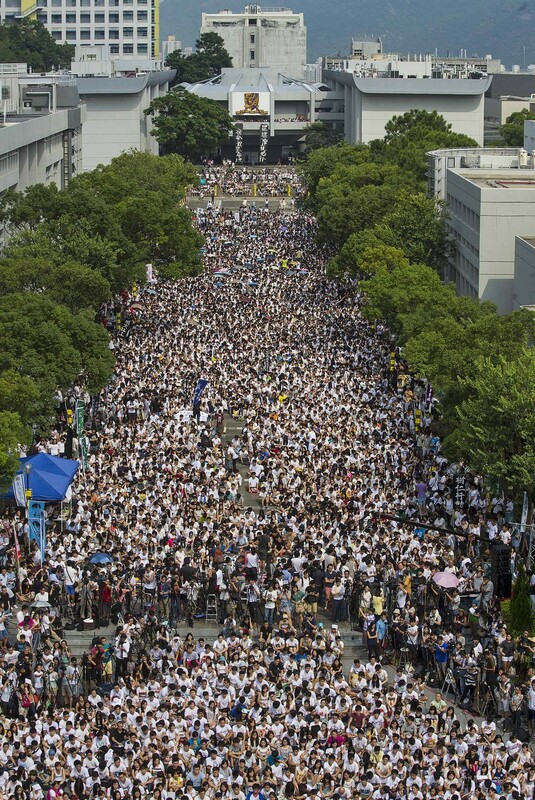 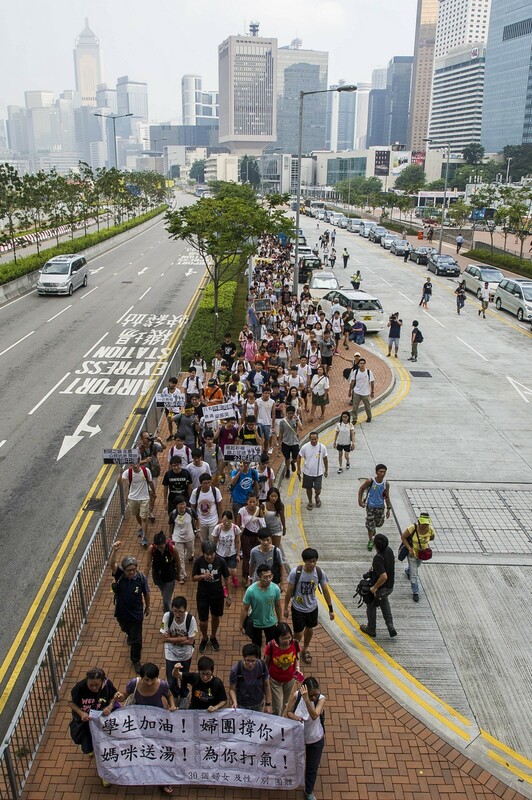 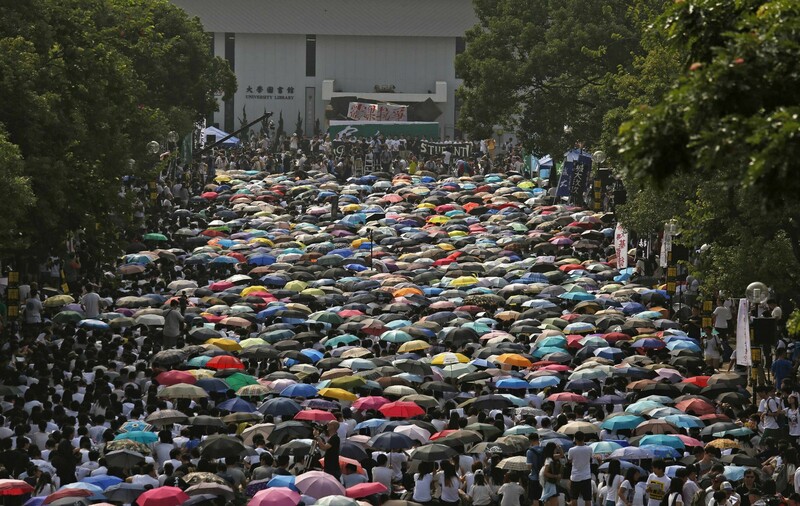 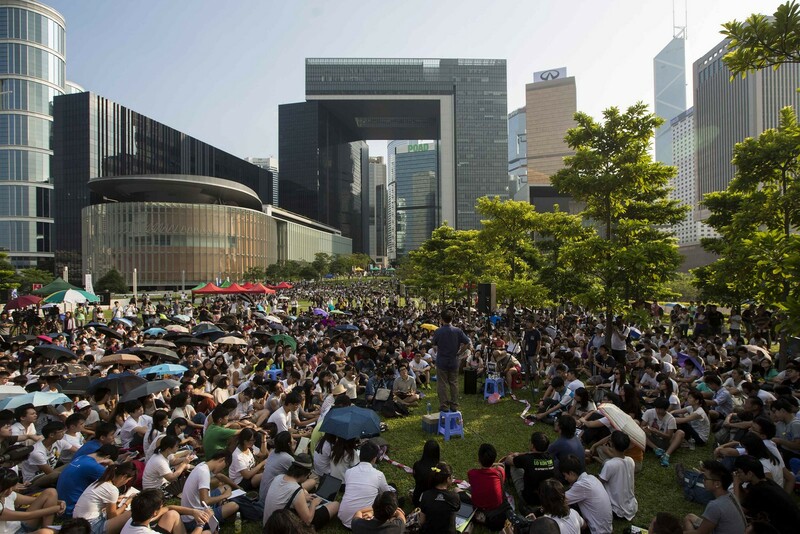 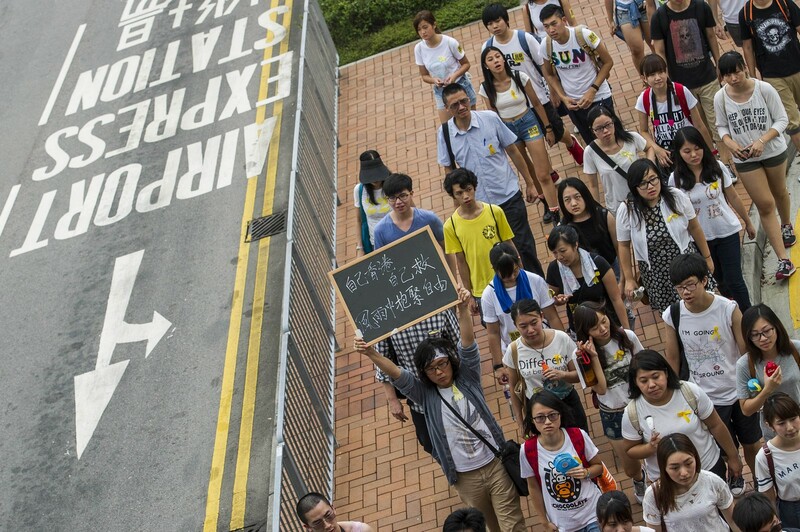 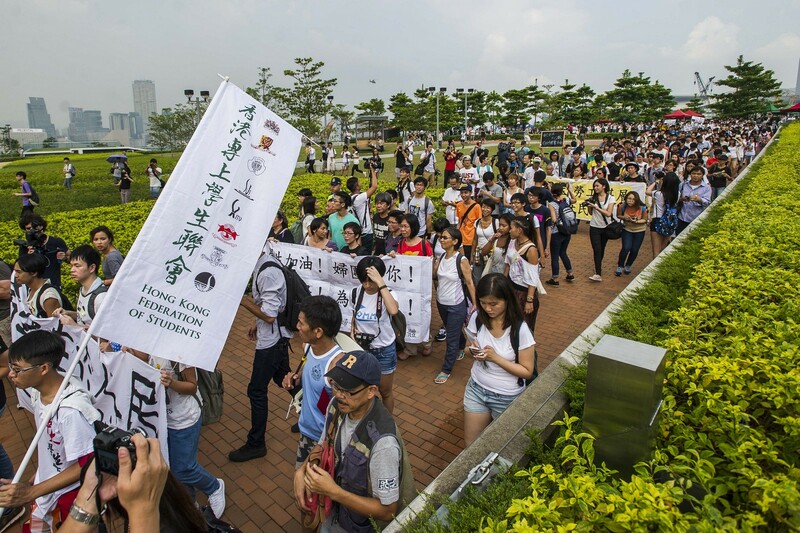 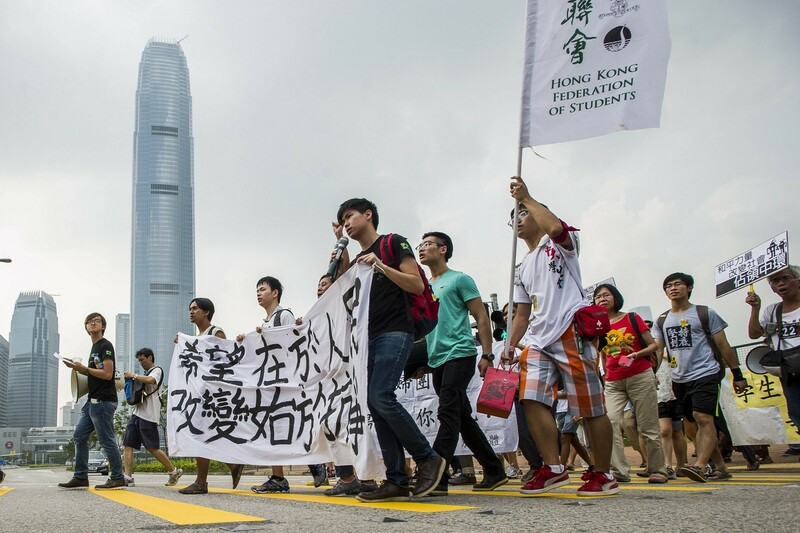 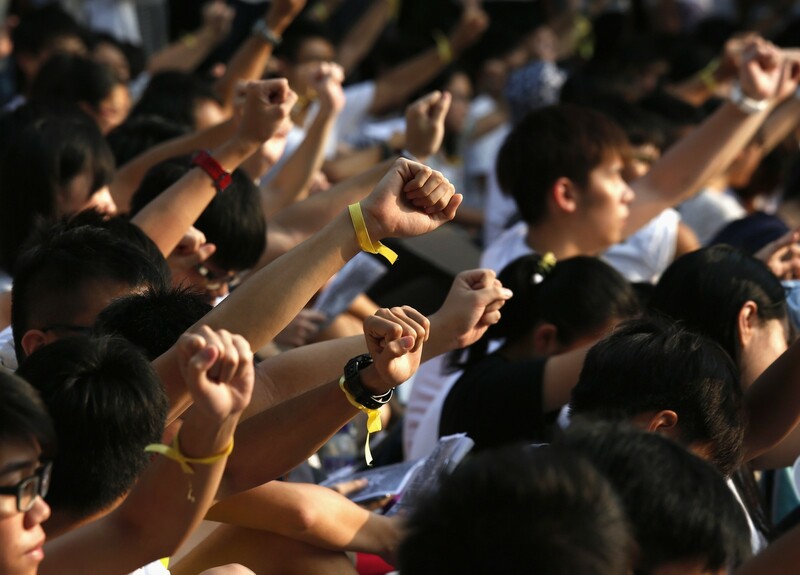 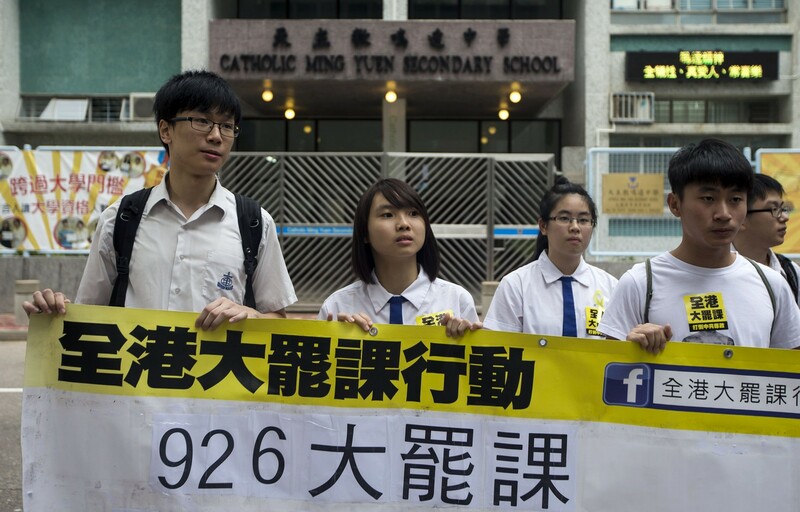 Hundreds of school children joined university students demanding greater democracy on Friday. 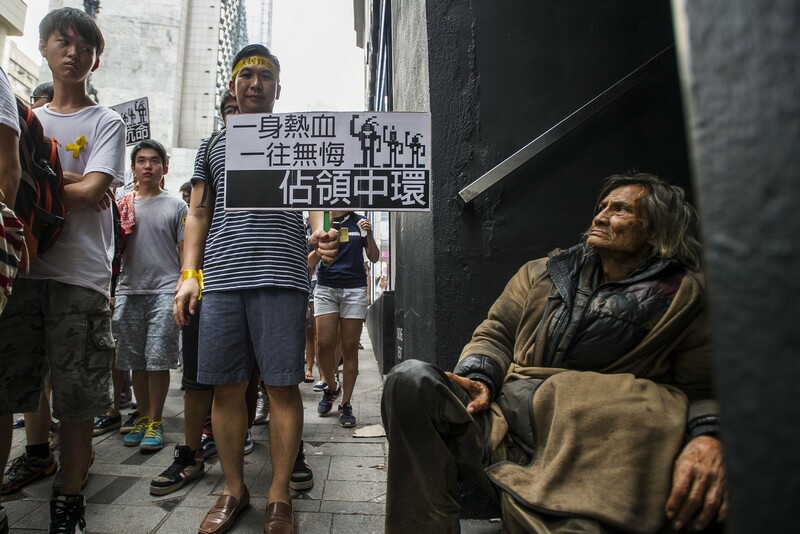 It caps a week-long campaign that has seen a large cut-out depicting Hong Kong's leader as the devil paraded through the city and calls for him to resign. 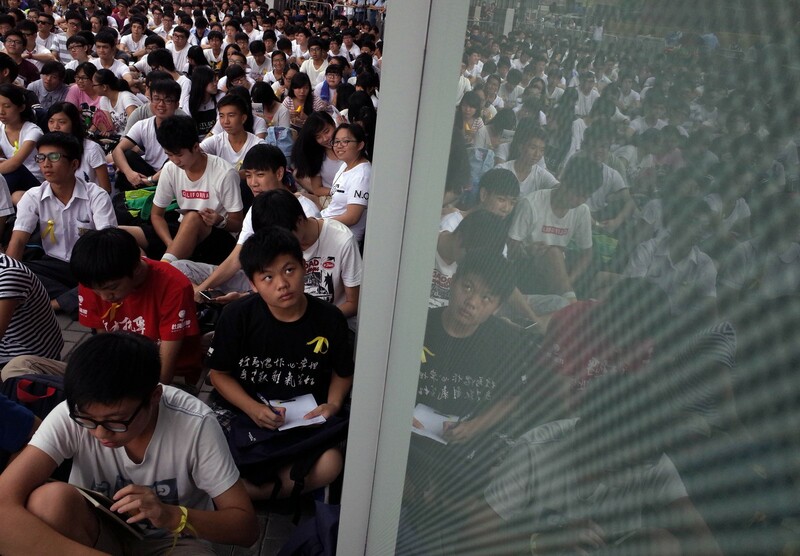 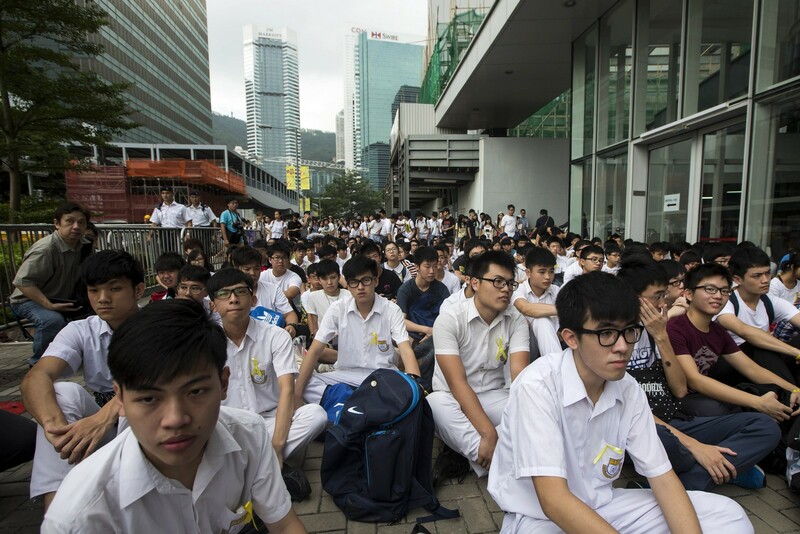 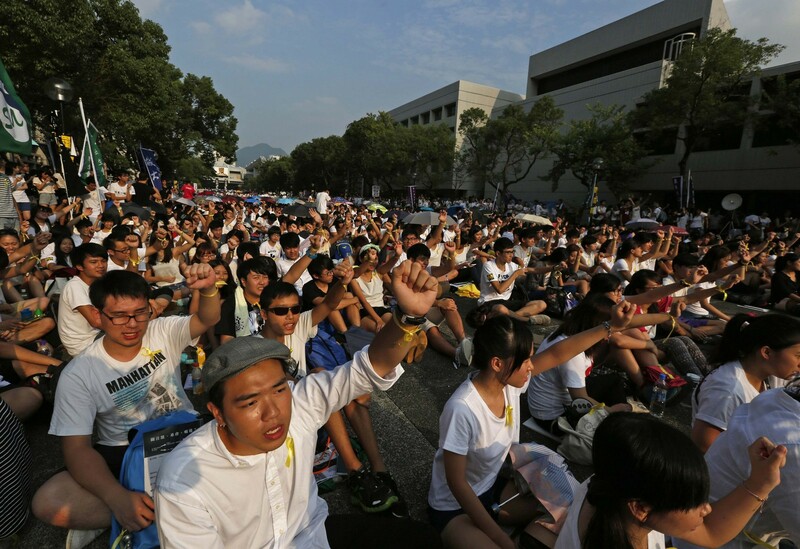 About 200 students camped outside the home of chief executive Leung Chun-ying on Thursday night. 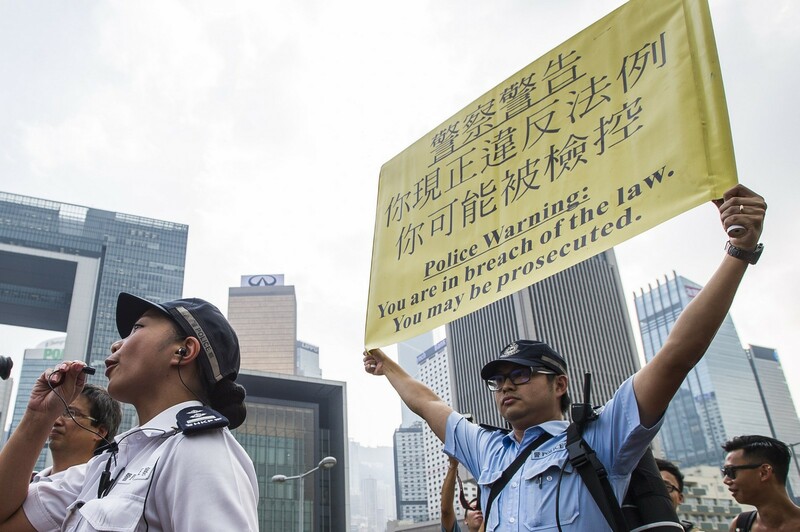 Mongkok was the scene of some of the most violent clashes during two months of sit-in protests which occupied major roads in Hong Kong. 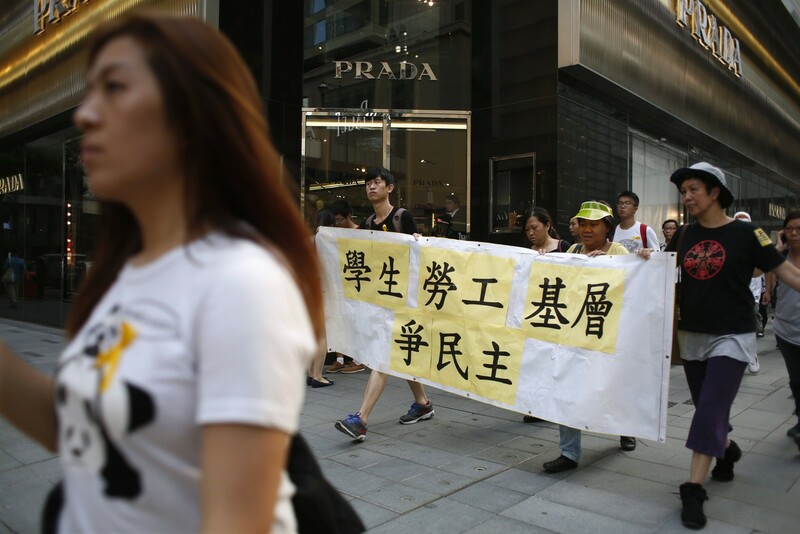 Protesters in the busy shopping district of Causeway Bay, where the last protest site was cleared on December 15, raised yellow crosses and umbrellas as they sang Christmas carols and yelled: "Our Christmas wish is that I want real universal suffrage". 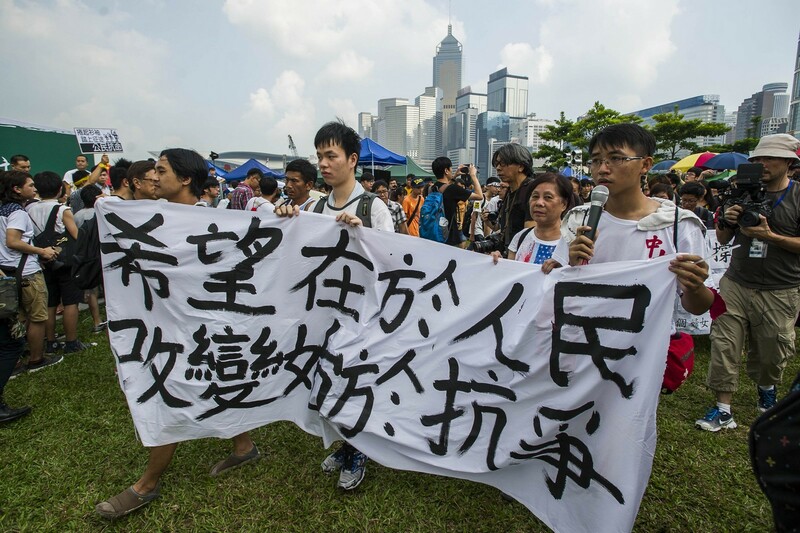 Protesters occupied stretches of some main highways for more than two months from September 28, calling for fully free leadership elections in 2017 after Beijing said candidates for chief executive must first be vetted by a loyalist committee. 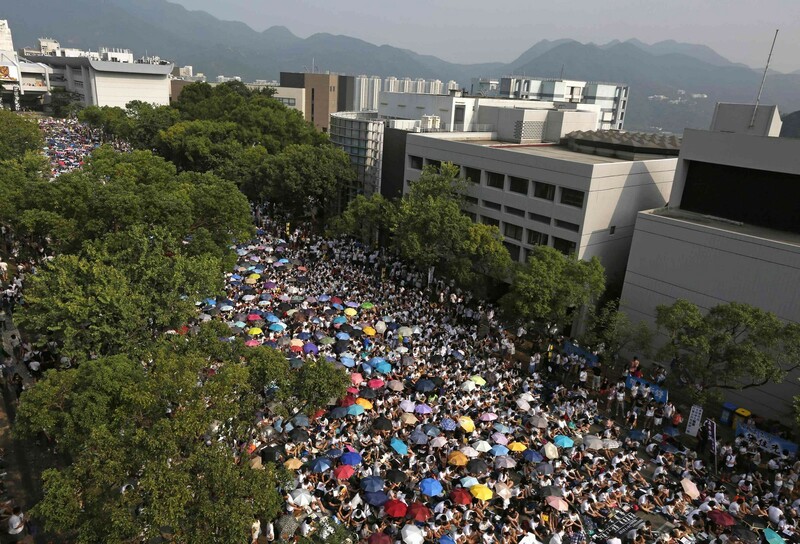 The city's embattled leader Leung Chun-ying Thursday made his first visit to the Chinese capital since the sit-ins ended to deliver an annual report. 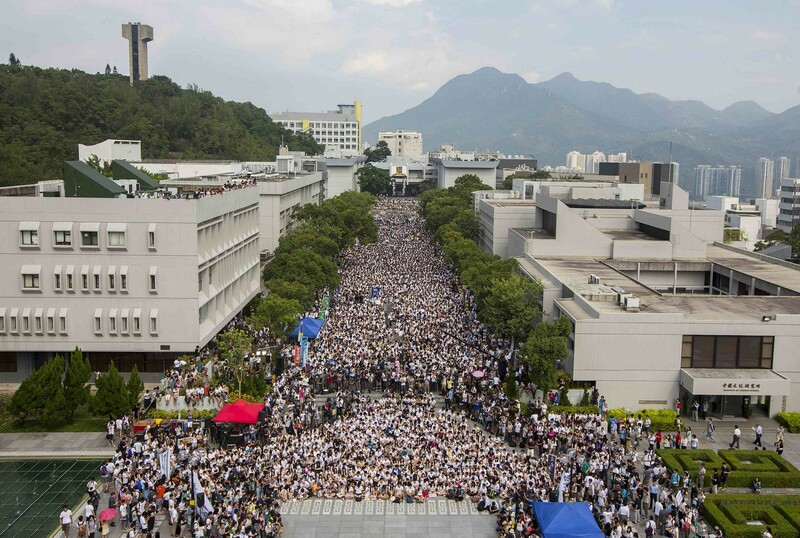 "One of the main points would be related to me and the government's determination to achieve elections for the chief executive in 2017... 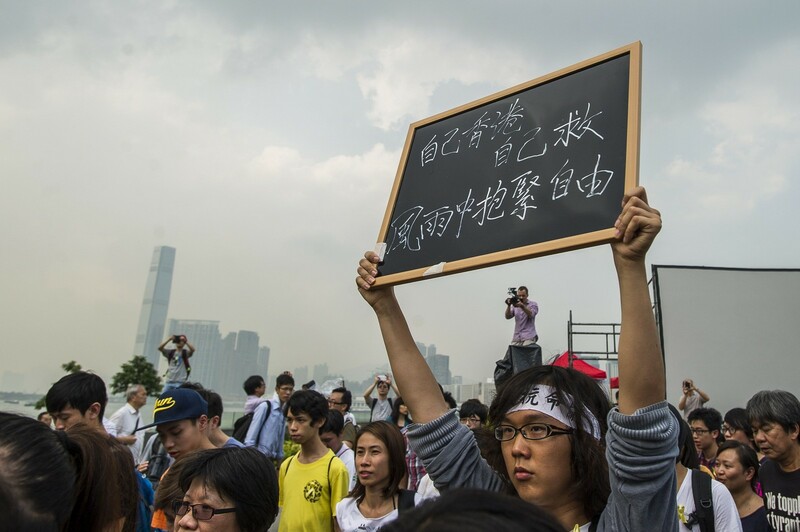 I believe that the determination of the central authorities has not changed," Leung said before his trip. 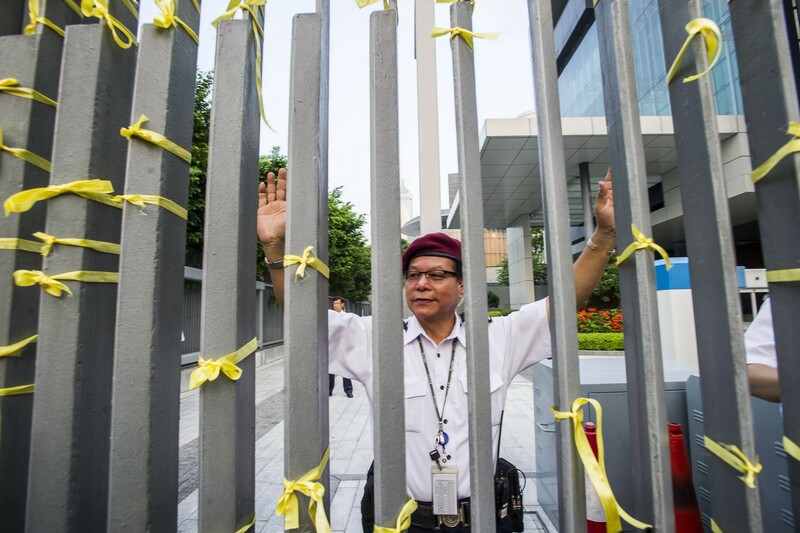 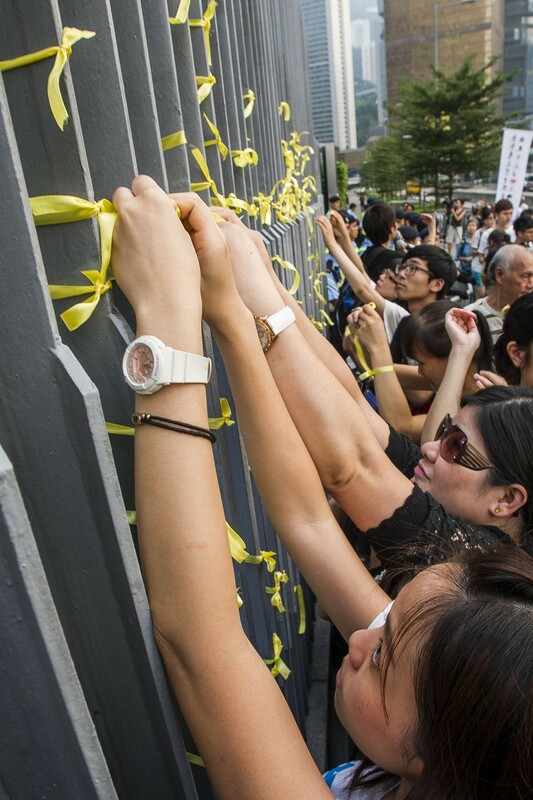 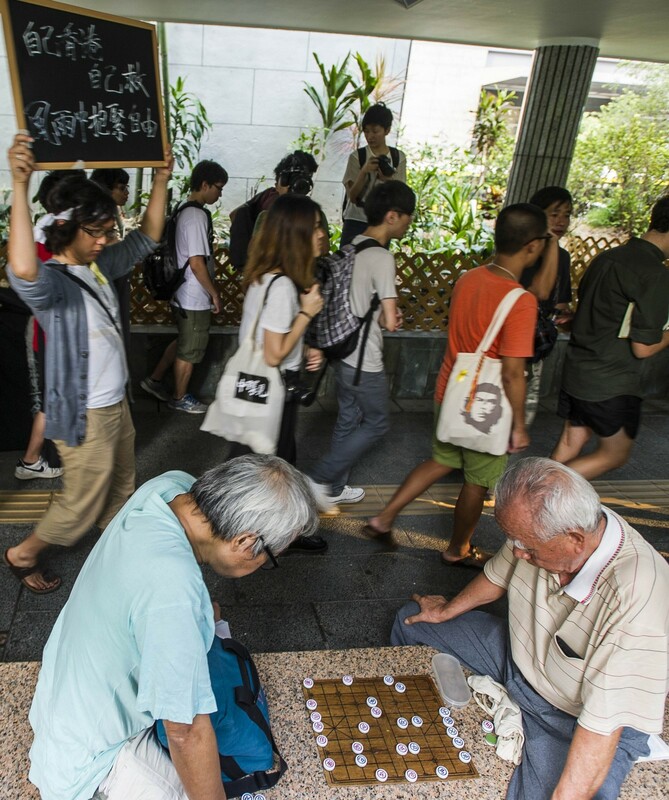 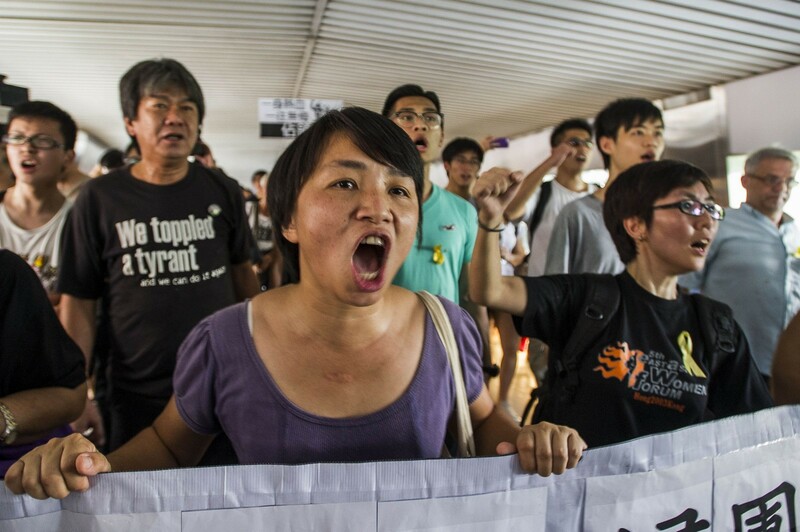 Pro-democracy campaigners are still making their voices heard despite the clearances. 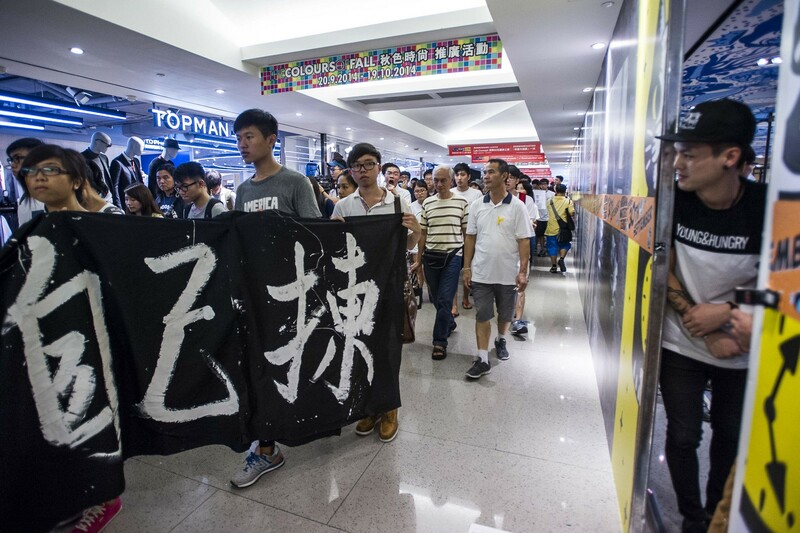 Large banners have appeared on landmarks and pop-up markets sell movement memorabilia, in addition to smaller protest gatherings.